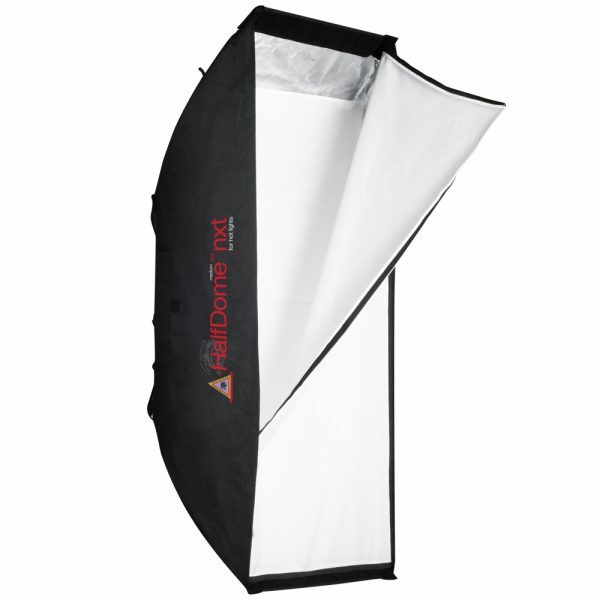 The HalfDome® nxt, made with our proprietary heat resistant BrimStone fabric features a narrow profile, perfect to use as a hair light for portraits or getting sleek, elongated catch-lights in product photography. Easy to shoot over when used as a foreground light. Features two vents that allow convection cooling. A removable StripMask is included for reducing the dome width by half. Optional grid is available for even greater control. A connector is required to fit your strobe light. Connectors are sold separately.